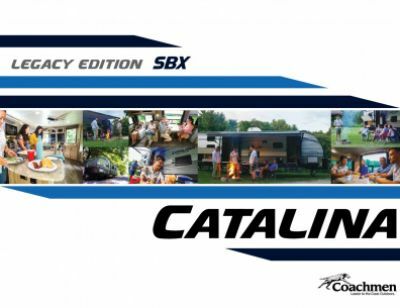 Journey across the state or across the country in the 2019 Coachmen Catalina SBX 321BHDS Travel Trailer! National RV Detroit in Belleville has been a top RV dealership in southeastern Michigan since 2008 because of our commitment to deliver great sales and service to our customers! We can put you in your dream RV at a price you won't believe, with great financing too! Give us a call today at 734-439-3400 or come in and see us! We're conveniently located at 44700 N I 94 Service Dr Belleville Michigan 48111! Even if you don't live in the Belleville area, we can still put you in the RV of your dreams with our personalized phone and internet service, and our 24/7 delivery across all of North America! With the nation's best price guarantee, we'll make your RV dream a reality at a price that will amaze you! It's easy to hit the road with this RV! It has a rugged GVWR of 9500 lbs! It hooks up fast, and the hitch weight of 790 lbs. makes it easy to tow! The 21' 0" power patio awning means you'll enjoy outdoor comfort and protection from the moment you arrive! Just because you're camping, doesn't mean that you can't sleep comfortably! The Queen bed in the master bedroom is a great place to get a full night's rest! With all of the sleeping accommodations inside this cozy camper, up to 7 people can find refuge at night! Freshen up in the bathroom, which has a Marine Foot Flush toilet and a shower. The 40 lbs. of LP tank capacity help keep the water nice and hot! Waste is discreetly stored in the 30 gallon black water tank store, and the shower's used water goes into the 40 gallon gray water tank! 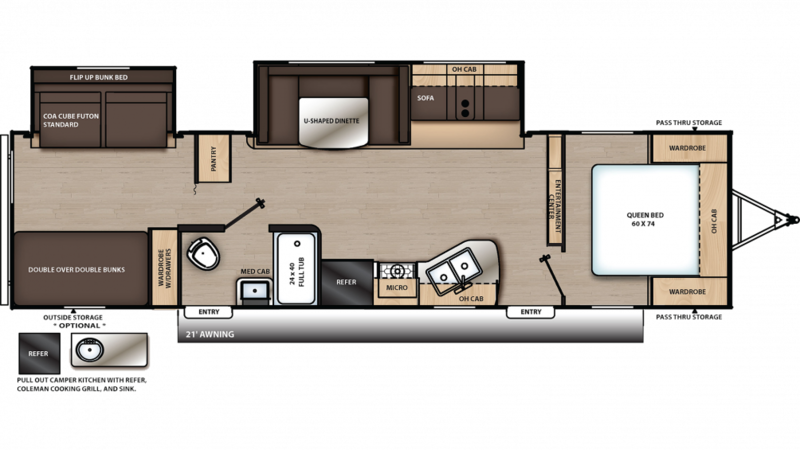 When the sun goes down and your big family needs to get a good night's rest, that's when you'll be glad you're camping in the Coachmen Catalina SBX 321BHDS. It sleeps up to 7 people, thanks in no small part to the roomy bunkhouse! It's comfy and private, and your family members will sleep soundly and securely!